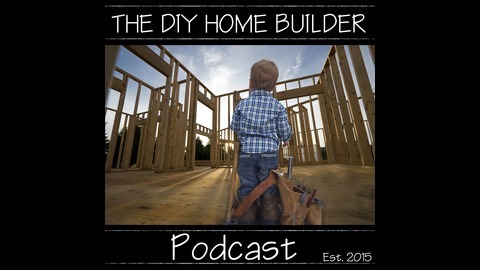 Welcome to the DIY Home Builder Podcast! This show is dedicated to the intrepid Owner-Builder. That rare breed of individual who shucks convention and embarks on a journey to build their home acting as the general contractor. 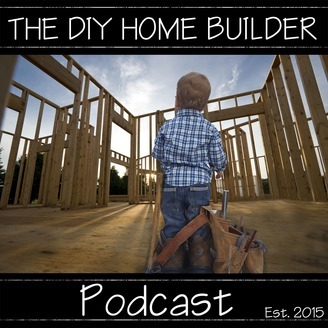 Listen in as we interview other owner builders, industry professionals and our friends and family, to share their stories and insights regarding building houses. There are a million reasons why you might want to build your own home. The pride of creating something with your own hands, the flexibility to design what you really want, the opportunity to learn new skills and trades – the list goes on! For many of us though, one important reason is to be able to have a custom home that we can actually afford. Building it yourself can save you 25% (or more) off the cost to buy an equivalent home or have someone else build it for you. However there is definitely a learning curve when it comes to knowing how to capitalize on those cost savings. This podcast and its accompanying website were created to help flatten that learning curve and give you the tools, resources and knowledge necessary to start you on your journey to building your dream home. Whether you are acting as your own contractor and hiring subs or doing the labor yourself, we’ll take you from start to finish on managing a new build; from securing a construction loan to scheduling and sourcing materials and ultimately building on your future. Doug Summerfield is an Air Force veteran and has worked in the mechanical contracting trade for over 48 years, but more importantly, he's also an owner-builder! Listen in as Doug and I dissect the anatomy of his 7300+ square foot owner built home. Doug walks us through step by step the design decisions he made, and how dealing with severe asthma forced him to design his home for fully handicap and wheelchair access. Doug also discusses his partial tear down due to faulty concrete and dealing with the ensuing law suit! You can find Doug on Amazon and at his website, http://www.fantasyworkshop.net Tons of great advice, tips and tricks packed into this episode, and Doug is funny to boot! Not one to be missed. Enjoy.